Who in Kent and Des Moines doesn’t love a Toyota? The team of ASE-Certified auto mechanics at Premier Automotive Services absolutely loves providing auto repair services when it comes to your Toyota. 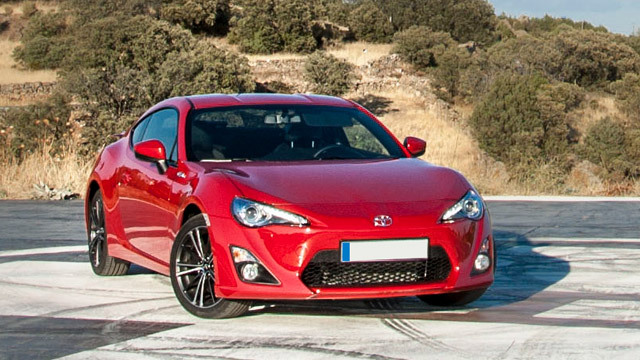 The Toyota brand is steeped in traditions of quality and reliability married with innovation. The Toyota tradition only helps to continue to catapult them forward in this ever-evolving automotive industry. That’s why Premier Automotive Services places a high value on ongoing education and training. In order to continue to serve you and your Toyota in the way we both want, we are committed to staying cutting edge. Toyotas are made for a good long life. At Premier Automotive Services in the Kent and Des Moines area, we are focused on partnering with you to help your Toyota successfully reach the 300,000-mile mark and beyond. We believe in the power of regular preventative maintenance and knows the difference it makes in the quality and longevity of the life of your Toyota. “Always the right price for having the peace of mind that our vehicles are inspected each time for safety and preventative maintenance.” -- Pam & Dave H.
Owner of Premier Automotive Services, Ryan Hoover, knows this business from the inside out having started at 18 as the shop cleaner at an auto repair facility in Renton and has never left the industry. Premier Automotive Services approaches everything we do with integrity and you can count on us meeting our deadlines while never skimping on quality work. We believe in helping you keep your auto running in great condition up and through 300,000 miles and we’d love to partner with you to get your Toyota there too. Make your appointment today! You’ll find us conveniently located at 25009 Pacific Hwy in Kent and we’re here 8:00 AM - 5:30 PM, Monday - Friday.